Want to lose weight while staying fit and healthy? Then, you should start monitoring your weight! And you should have a good bathroom scale to do this. Check out this stylish and highly functional Inevifit Bathroom Scale, as this might be your perfect fitness companion. The Inevifit bathroom scale will help you meet your goals faster and easier. Just like what you exactly need to stay focus and motivated to get that healthy and fit body that you always wanted. This will conveniently track and monitor your bodyweight with its superior and innovative features. 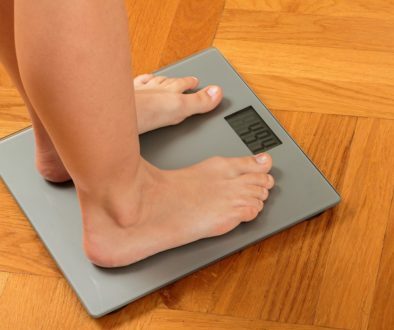 Using this bathroom scale will keep your body weight always on point. It will check and take control of your fitness routines consistently through daily and weekly body weight monitoring to ensure that you are on the right track. This will allow you to meet your fitness goals easily, focus on burning unwanted fats and live a healthier life. The bathroom scale provides avenues for monitoring the essential areas of the body. It can perform bone mass reading by indicating the health of your bones. Also, this scale can calculate your body’s metabolic rate. This is equipped with an auto-calibrating sensor that gives you precise measurements at all times. Its upgraded sensor also allows you to have a weight limit of up to 400 pounds or 180 kilograms. It comes with an Auto-On and Auto-Off feature. This saves the battery life and gives more readings before the battery runs out and needs changing. The Inevifit Bathroom Scale comes with a modern yet elegant-looking body. This is made in Southern California using only the finest materials to ensure premium quality. Its 11.8” x 11.8” tempered glass platform features a large 3.6” LED display for easy reading. The overall style of this bathroom scale will rejuvenate the look of your bathroom or bedroom. Thus, adding not only a beautiful but also a functional piece in your home. This bathroom scale is not limited to a single user only. Instead, it can measure up to ten users with individual recognition and memorization of weight and characteristics. This allows you and your family members to monitor the progress of one’s fitness easily. This bathroom scale has undergone testing to ensure the best performance. It is certified to have superior quality providing users care and ultimate experience. 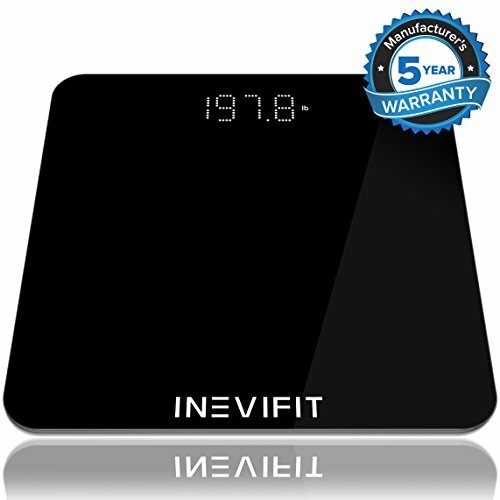 The Inevifit Bathroom Scale comes with a 5-year warranty. The Inevifit Bathroom Scale can help you reach your weight loss goals a lot easier and faster due to its essential monitoring features. It can track body fat, muscle mass, and total body water accurately due to its advanced and innovative system. This stylish bathroom scale offers a spacious and durable platform for easy weighing and measuring. Its automatic sensors and onboard memory help detect the data of up to 10 users. This makes it an ideal tool for monitoring you and your family member’s fitness progress. 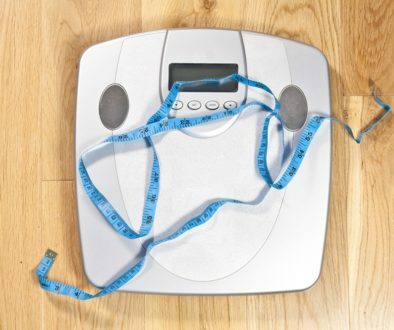 Moreover, this highly durable product is equipped with smart features that help save battery life giving you more readings and results--no hassle with frequent changing and reprogramming of your bathroom scale. Lastly, the Inevifit Bathroom Scale offers a 5-year warranty. This ensures not only the customer’s satisfaction but also optimum experience. The Inevifit Bathroom Scale is highly comparable to the EastSmart Precision Digital Bathroom Scale. Both are equipped with superior features at an economical price. These bathroom scales are built to add beauty to your home with its stylish designs. While the Inefivit scale has 11.8” x 11.8” stepping tempered glass platform, the EatSmart scale seems to have a larger platform at 12” x 13”. Its non-slip platform is made from 8-mm tempered glass and sits 1.8” off the ground to ensure that it matches perfectly on any surroundings. When it comes to the display monitors, the Inevifit scale is equipped with a 3.6-inch LED display, while the EatSmart scale features a bit smaller display with its 3.5-inch LCD monitor. 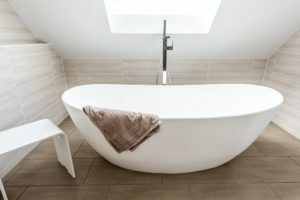 Despite its smaller size, its LCD comes with a cool blue Accubright backlight giving an easy view even at low-light areas of the bathroom or home. Talking about capacity, both these bathroom scales can safely weight up to 400 pounds. This is accounted to the precision sensors present in both units which ensure consistent and accurate measurements. With regards to the advanced systems and technological innovations present in the bathroom scale, the Inevifit scale ensures consistent tracking and body monitoring of multiple users while the EatSmart offers “Step-On” technology. 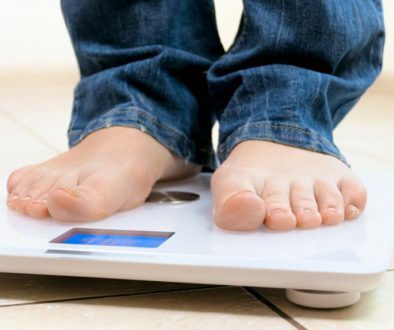 This allows you to simply step on the scale and instantly displays your weight without any tapping. That’s no hassle weighing in no time. However, the EatSmart scale is not recommended for multiple users. Lastly, while the Inevifit scale uses a smart battery system, the EatSmart offers auto-power off feature to save battery life. It also comes with an auto-calibrated system to ensure that all your measurements are accurate and precise. 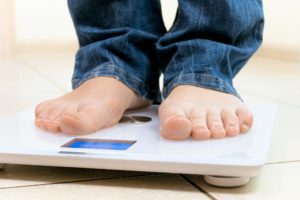 After comparing two of the best and well-known bathroom scales available on the market today, a verdict has been made as to which is better between the Inevifit Bathroom Scale and the EastSmart Precision Digital Bathroom Scale. The Inevifit Bathroom Scale is the best option for accurate measurements and proper weight loss monitoring. At its price, you’ll be able to monitor your fitness progress easily with the displayed measurements reflected on the scale’s monitor. This will also allow your family members to track their measurements and progress due to its multiple-user settings. Additionally, this bathroom scale adds beauty and efficiency to your home due to its stylish design, auto-calibrating sensors, and smart battery systems. You are guaranteed to have a secured and wonderful experience with the Inevifit Bathroom Scale as it comes with 5-year warranty. On the other hand, if you are just looking for a low-cost yet smart scale, then the EastSmart Precision Digital Bathroom Scale is an alternative option. This comes with the basic features that you are looking for in a bathroom scale. It is ideal for general home use due to its simple set-up and easy-to-operate system. 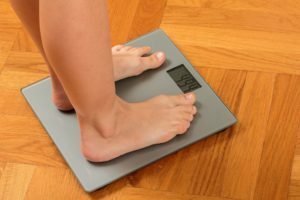 Best Bathroom Scales: The Thrift’s Choice	How Accurate Are Bathroom Scales?